Screen shot of my Pinterest board Easter. Click to get to the photos and link to original sources. I promised you some more inspiration for Easter decorations. And why not start with Pinterest’s lovely world of inspiration? As you know, I always reach for Pinterest when I lack inspiration for a new project or just for seasonal decorations. You can find inspiration for decorating Easter eggs, for setting a lovely Easter table and making beautiful bouquets. I made my own little collection of inspiration for the holiday, and as always I want to share it with you! As always I concentrate on inspiration for rather easy and quickly made decorations. For instance, I love those eggs just with an added feather – beautiful, right? 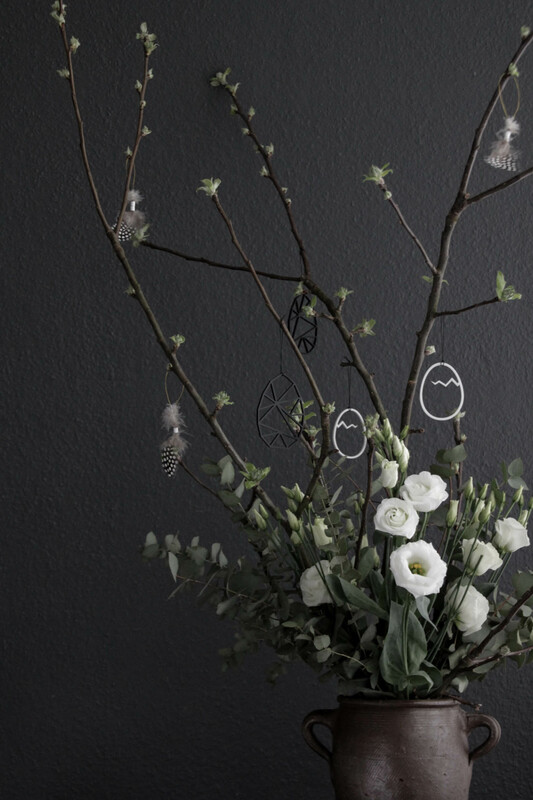 Easy to make (eggs, glue and feathers) and so very decorative. 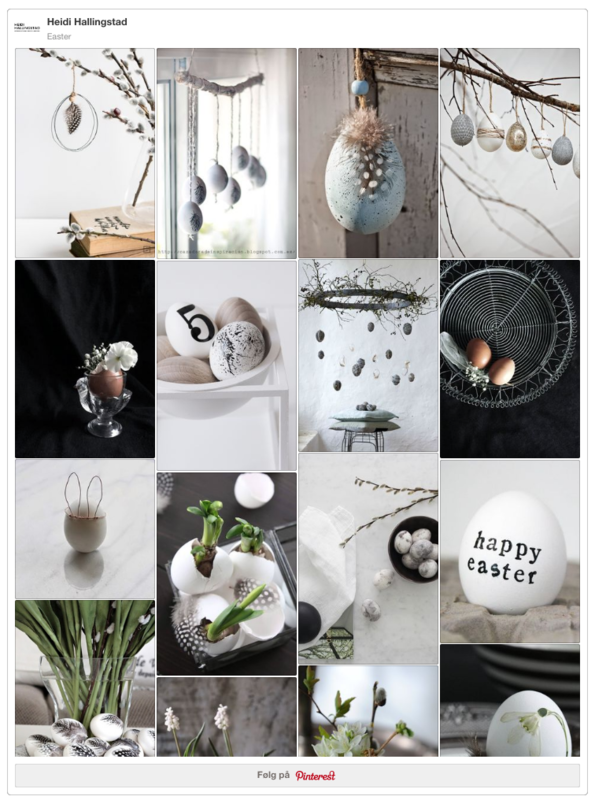 If you click on the screenshot above, you will be forwarded to lots and lots of more Easter decoration inspiration – enjoy!